The BodyTalk System seeks to address the "whole person". This means that no aspect of the human psyche can be overlooked, be it emotional, physical or environmental. BodyTalk is a whole-healthcare system that supports and promotes the well-being of the mind, energetic systems, and physical body. 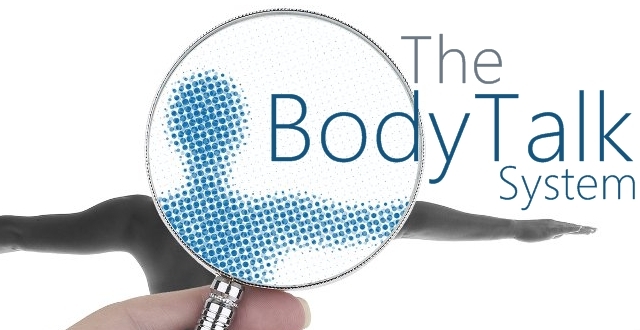 BodyTalk understands the profound influence the psychology of the body has on our health. Instead of focusing on the symptom, BodyTalk finds the underlying causes of illness by addressing the whole-person and their whole-story. BodyTalk is an astonishingly efficient and effective holistic therapy that allows the body's energy systems to be re-synchronized so they can operate as nature intended. Each system, cell, and atom is in constant communication with each other at all times. Through exposure to the stresses of day-to-day life, however, these lines of communication can become compromised or disconnected, which then leads to a decline in physical, emotional and/or mental well-being. Reconnecting these lines of communication enables the body's internal mechanisms to function at optimal levels, thus repairing and preventing disease while rapidly accelerating the healing process. In this way, BodyTalk stimulates the body's innate ability to balance and heal itself on all levels. ﻿﻿﻿Every single cell, atom, and system is in constant communication with every other cell, atom and system within the bodymind complex at all times. This includes communication through the nervous system, as well as the other subtle energy circuits of the body - such as the meridians and the electromagnetic frequencies that are produced by the body through its functioning. Stress we experience in our daily life can cause these circuits to become compromised, weakening or disrupting the communication between the cells and systems. Stress has a profound effect on the body and its ability to heal and function at an optimal level. When an individual experiences ongoing stress, it can overload the energetic circuits of the body, causing them to fail or be severely compromised. This is just like plugging too many appliances into an outlet and tripping a circuit breaker in your home. You have blown a fuse and must go reset it. Often times the body cannot reset these blown circuits on its own, so the body then must continue to function in a less than ideal state. This ultimately leads to degeneration, illness and pain in the body, a sign that it is simply falling behind in the healing process. Stress-related illnesses include, but are not limited to: high blood pressure and heart rate, digestive disorders, hormone and endocrine imbalances, fatigue, infertility issues and all manner of immune system disorders. Just as the body heals a wound with a particular sequence of bio-chemical, physical and energetic responses, the body addresses all healing in a certain order. This concept is vital in the BodyTalk balancing process to encourage the body's ability to heal itself by the fastest means possible. Copyright © 2014 The BodyTalk Centre. All Rights Reserved. Disclaimer: The entire contents of this website are based upon the opinions of Kevin Persaud, unless otherwise noted. Individual articles are based upon the opinions of the respective author, who retains copyright as marked. The information on this website is not intended to replace a one-on-one relationship with a qualified health care professional and is not intended as medical advice. It is intended as a sharing of knowledge and information from the research and experience of Kevin Persaud and his community. Kevin Persaud encourages you to make your own health care decisions based upon your research and in partnership with a qualified health care professional. If you are pregnant, nursing, taking medication, or have a medical condition, consult your health care professional before using products, services, changing your diet, and/or beginning an exercise routine based on this content.